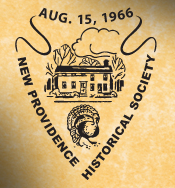 Over the last three years, the Social Studies department has developed a community partnership with the New Providence Historical Society. The outreach started in Fall 2016 when the district's first graders visiting the Salt Box Museum on Springfield Ave, as part of their 'Long Ago' Social Studies unit. 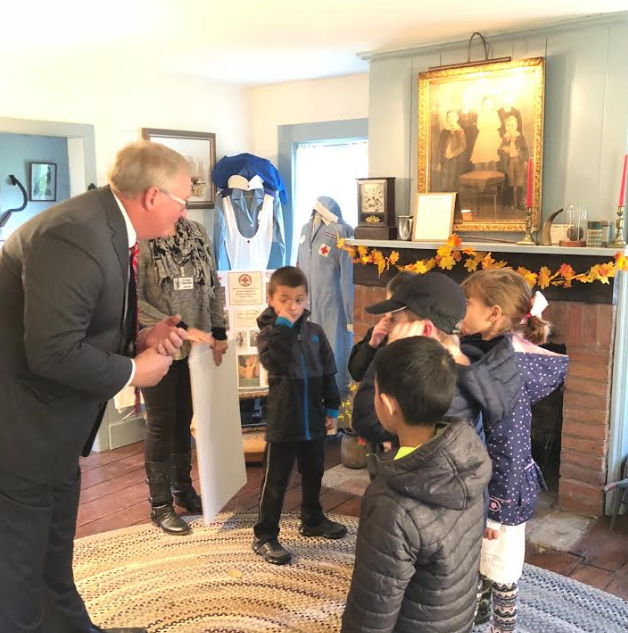 The students interacted with the museum's historical artifacts and got to see how New Providence citizens lived in the 18th, 19th, and early 20th century. 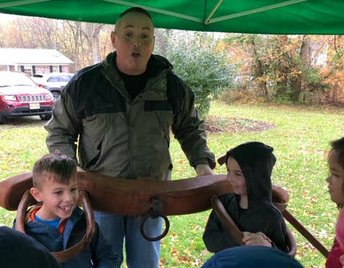 Based on the success of the initial visits, the program has expanded to include third-grade students and their 'America's Early Communities' unit. 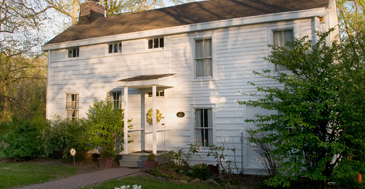 This year these students will complete a historical scavenger hunt highlighting how early communities functioned. So far over 1,000 elementary students have participated in the program. 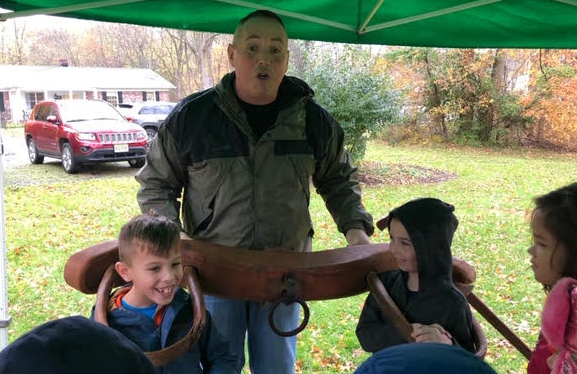 The partnership has now expanded to include AP US History students who engage in field research related to the museum's diverse collection of artifacts. Students investigate the origin, history, and original use of the unique pieces in the collection. 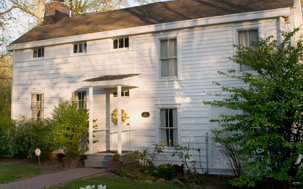 The students work is shared with the Historical Society to help them refine the catalog of their holdings. 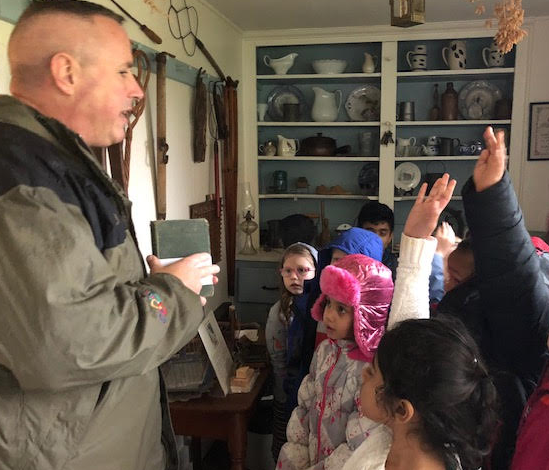 There are very few community partnerships in the nation that allow students to collaborate with a local museum and complete original field research. 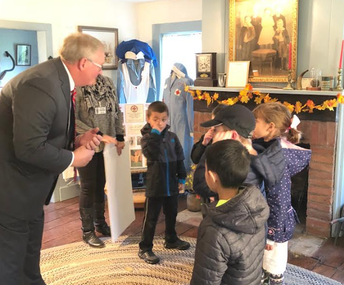 In addition, fifth graders from Salt Brook school recently visited the museum and used the Google Tour Creator software to create a virtual tour that included interactive links and images. The tour is linked in the banner below. 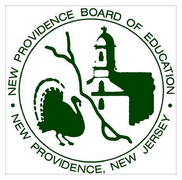 Overall, the program is a wonderful example of an authentic multifaceted educational partnership between the New Providence community and all four district schools. Congratulations to everyone involved. 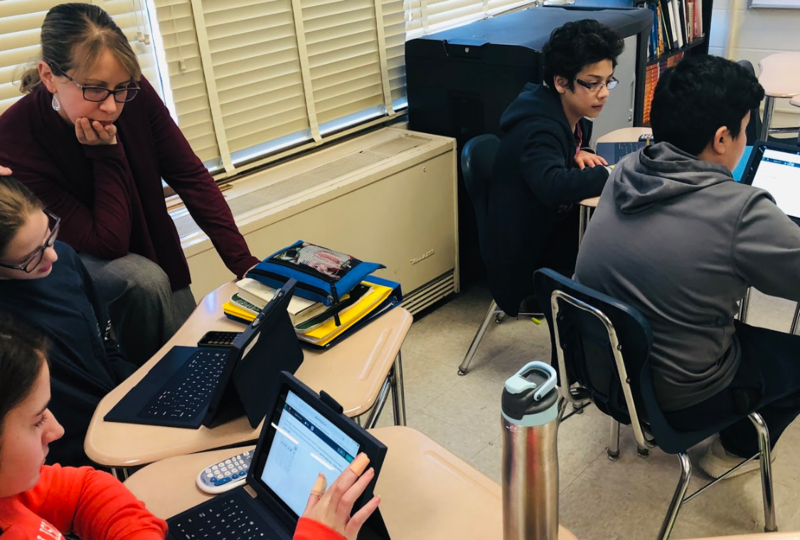 The Middle School recently implemented a schoolwide 1:1 iPad pilot and as part of the program, each student is now given his or her own iPad for the entire school day. 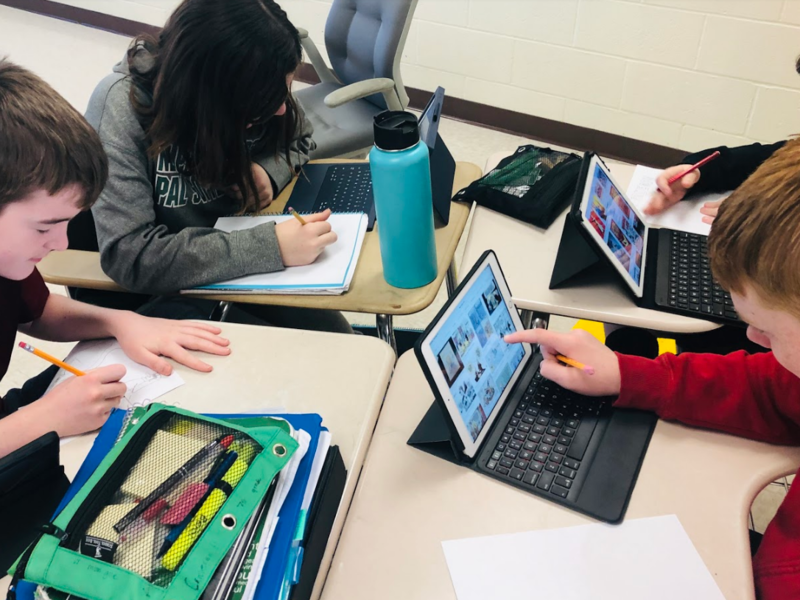 This allows students to personalize the device to fit their needs and preferences, to select and download a number of previously unavailable applications, customize the content to fit their level and save their work on their own device. 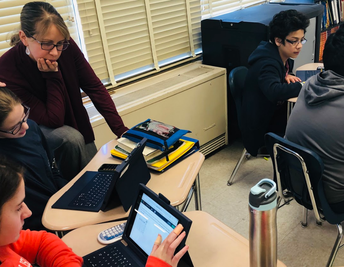 Staff and students are enjoying creating customizable learning experiences and are reporting an increase in instructional time. 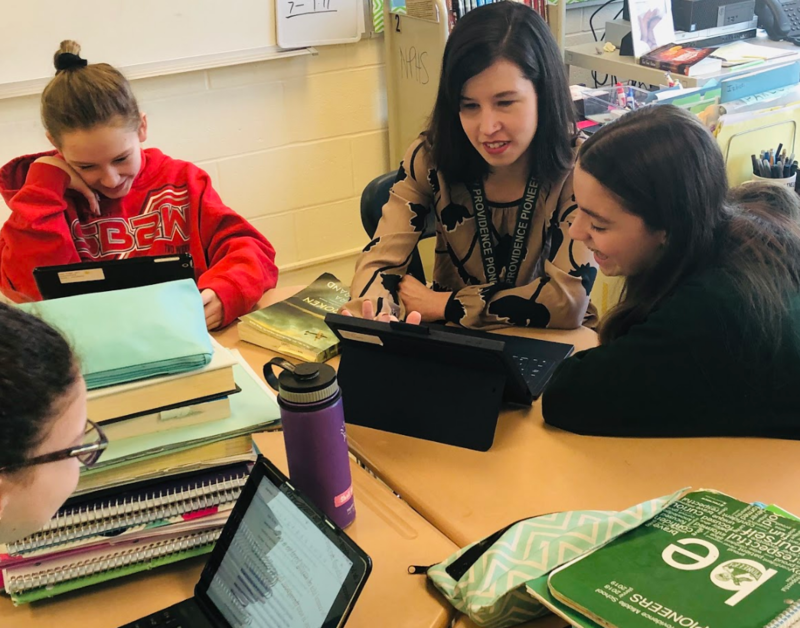 The Middle School is planning to extend the pilot program through the end of May as teachers and students continue to explore how a personal iPad can be used in the transformation of learning. Over the last four years, opportunities for students to explore coding has been incorporated at each grade level using different educational tools. Kindergarten students are learning to think like coders by using the BeeBots in a cross-curricular exploration of their ELA vocabulary words. 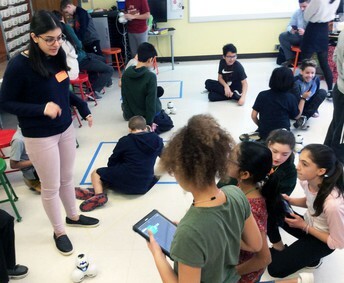 As students progress through the grades, they code using Ozobots, Dash and Dot, Littlebits, Spheros, WeDo Lego, Cue, Root Robot and Lego Mindstorms. Many of these devices are used in both the regular and STEM classroom and have been provided through the New Providence Educational Foundation (NPEF) grants. 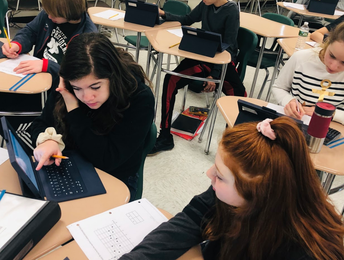 Recently students from the high school computer science classes visited the sixth-grade math classes to help guide students through a series of cross-curricular programming challenges. 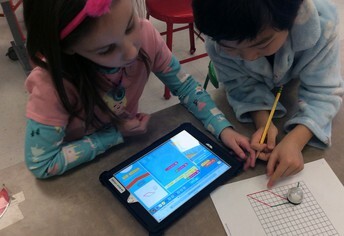 The challenges were designed around some of the major concepts being addressed in Math class and used the new Cue robots recently purchased. 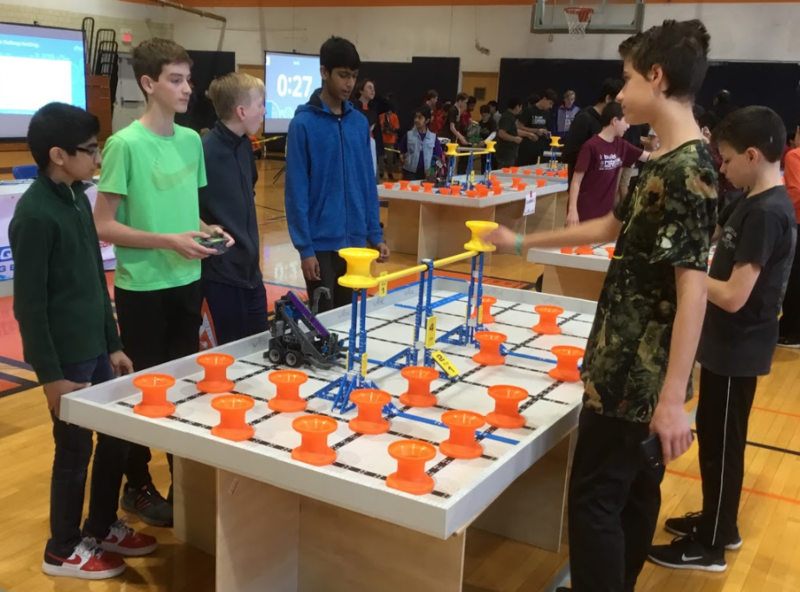 Middle School students continue their mastery of coding techniques in two mods, seventh-grade Coding, and eighth-grade Robotics. 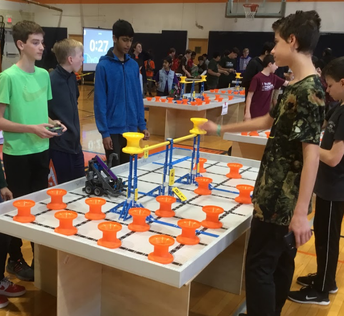 In addition, the Robotics club provides an opportunity for students to design, build, and program VEX robots and in association with Robot Revolution in Summit, compete in a VEX engineering challenge. 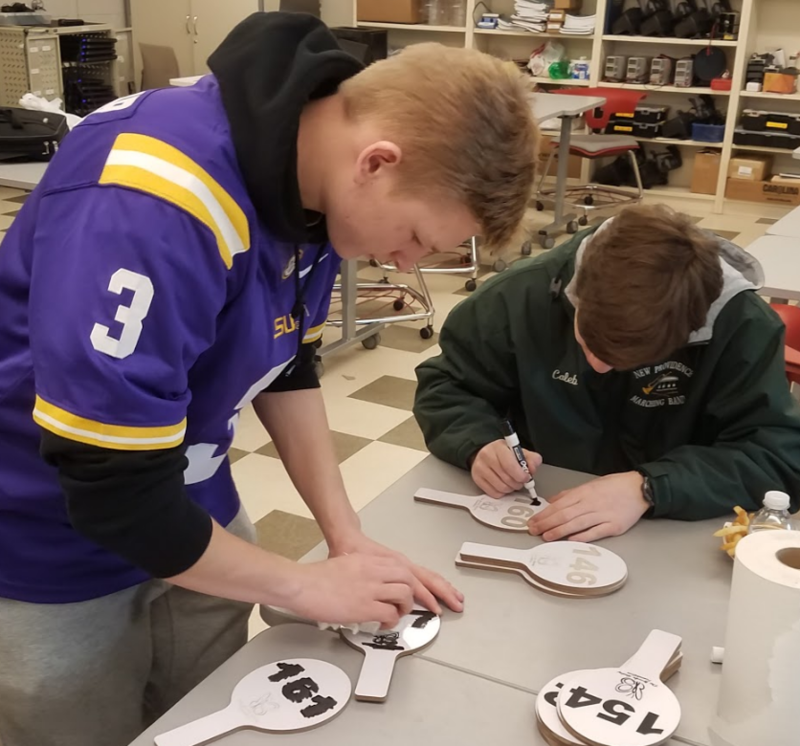 The club has expanded this year and now teams compete in a number of additional competitions on a new design challenge, and which culminated in the regional final at New Providence High/Middle School. 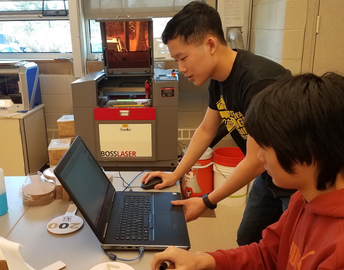 The high school computer science program has been reorganized to include the Python, Java, and Snap! programming platforms and to provide students with a coherent series of courses emphasizing computational thinking, real-world computer applications, and exposure to innovations in the field of computer science. 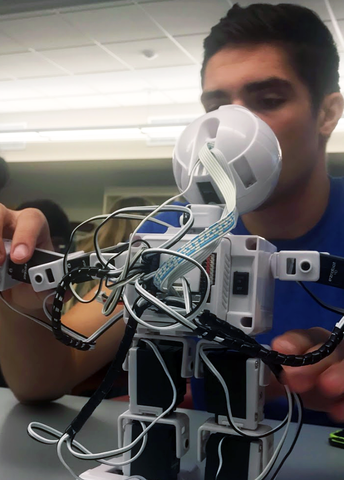 In Programming and Innovation, students use EZ robots, drone models and self-driving car tools Python to explore computer literacy, program design, and the use of computer language in problem-solving. 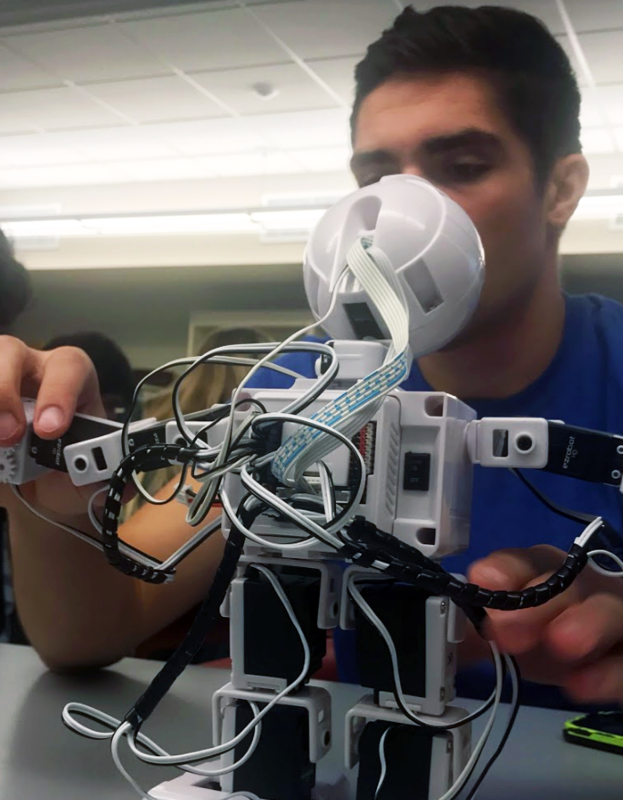 Students also explore how programming is applied to robotics, cybersecurity, data analytics, facial recognition, and Artificial Intelligence. 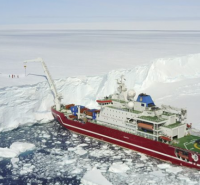 Mrs. Kautzmann's second-grade students have been following a group of scientists from the 2019 Weddell Sea Expedition, who are on a seven-week journey in Antarctica. Every few days the scientists update journal entries on their webpage and add pictures and information to their logbooks and field notes. The scientists also video conferenced with students from around the country who are able to ask questions about their discoveries in real-time. The video below shows Salt Brook students interacting with scientists through Skype. It's been a great experience for the class as they enhance their understanding of Antartica and the importance of its protection. 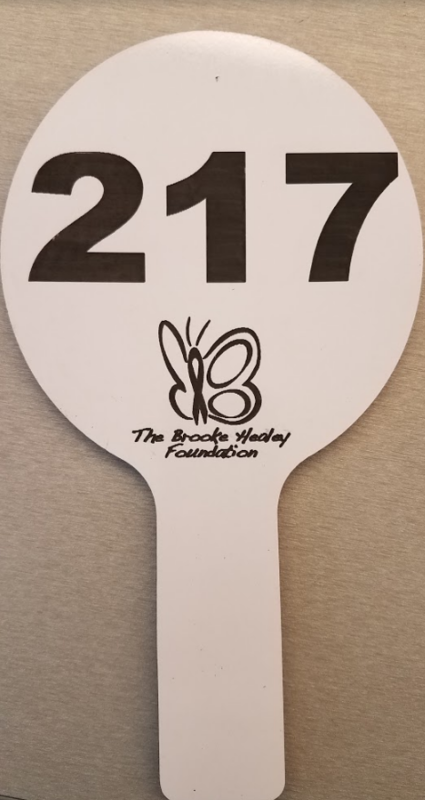 Several high school students volunteered to work with the Brooke Healey Foundation in the design and creation of numbered paddles to be used during their fifth annual Casino Night. 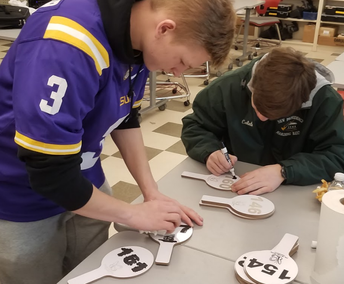 The students contributed their time and expertise in using the district’s laser engraver to fabricate and finish the final paddle design and production. 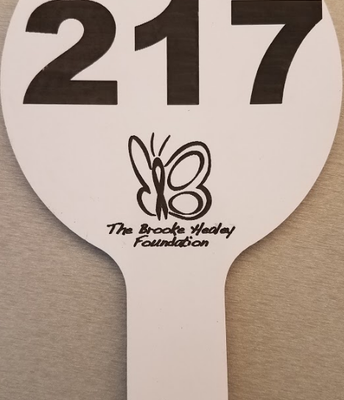 The laser cutter was purchased using an NPEF grant in 2017 and has become a vital tool students use to produce high quality engravings and taylored cutouts to be used for projects. Third-grade students have been using the Mystery Science program as a quick, interactive exploration of scientific concepts. Students start by watching a story with real-life images, videos, and discussion opportunities and are then posed a simple overarching question. 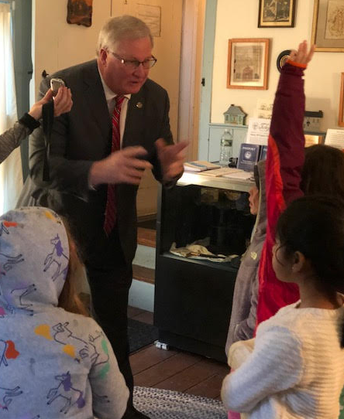 They then engage in a hands-on investigation that brings science to life and provides evidence that allows the students to address the opening question. The students love the program and are constantly asking to do more. 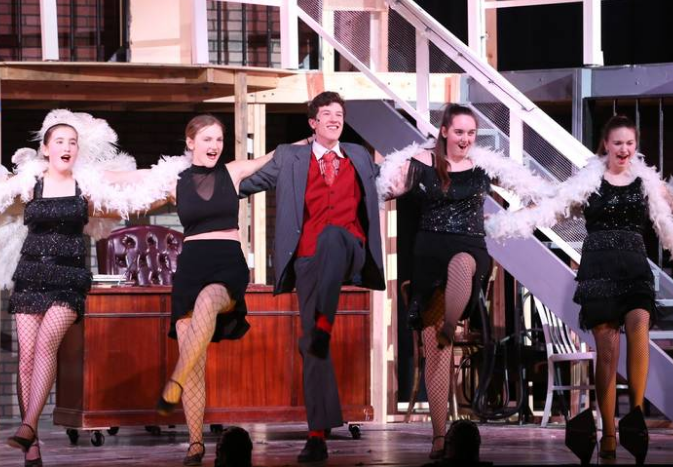 Congratulations to the talented and dedicated cast, crew, choreographers, pit, and construction team for their wonderful production of Chicago: The High School Edition last weekend. For an extensive photo gallery please visit the Music and Performing Arts Department. 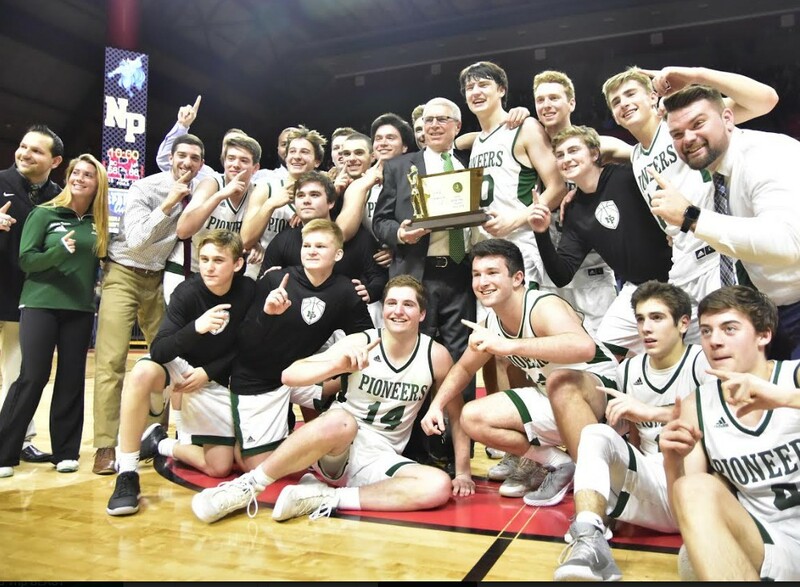 New Providence defeated Burlington City, 66-56, to win the NJSIAA Group 1 state champions at the Rutgers Athletic Center last Sunday night. 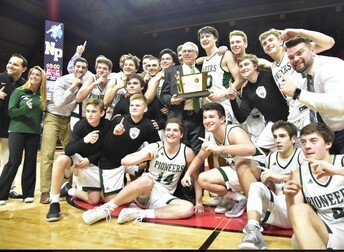 It's the third state title for the program and corresponds with a season in which Coach Cattano won his 500th game and three seniors scored 1000 points. 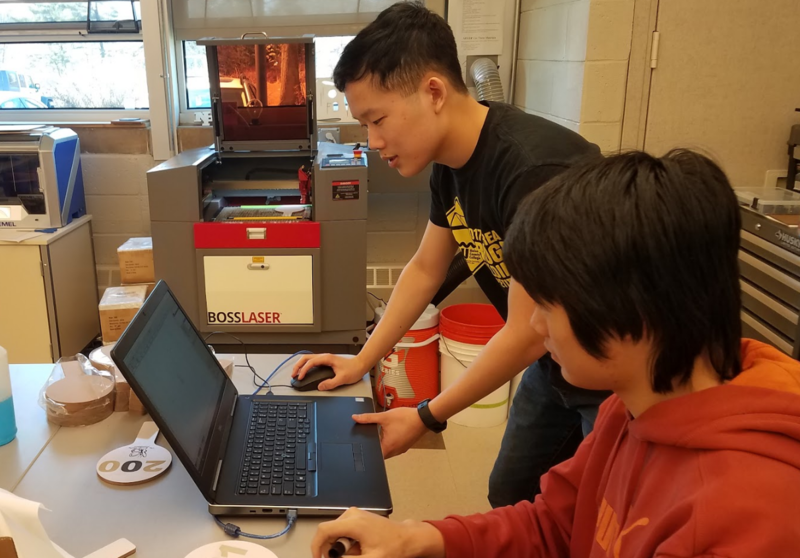 The New Providence STEM Summer Innovation Academy provides an opportunity for 2nd through 12th-grade students to experience innovative programs they may not have access to during the school year. Taught by STEM teachers in the New Providence School District, the courses will engage students in progressive learning experiences that incorporate a more authentic, interactive, student-centered approach to learning, and which will expand their exposure to different STEM careers. For more information and to start the signup process please visit the Recreation program web page.